I ported Justin Palmer's VibrantInk color scheme for TextMate to Vim and Emacs. 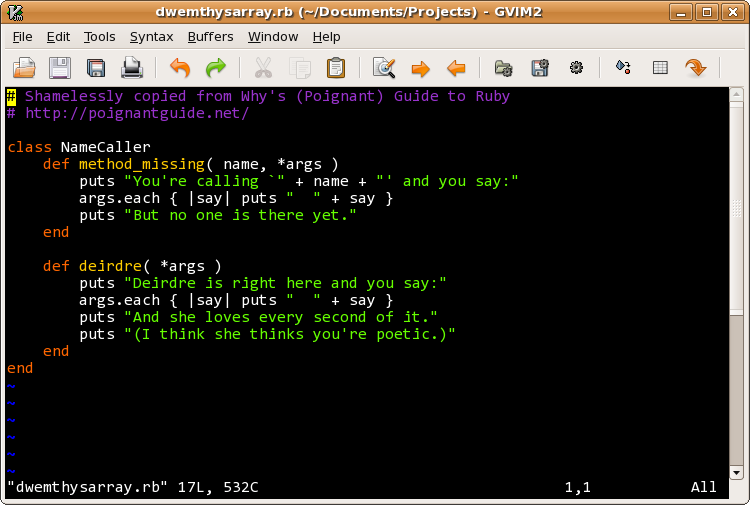 VibrantInk is a dark color scheme that is very well suited for editing Ruby and Python source files. Based on John Lam's rudimentary Vim version of VibrantInk. It also works on 256 color terminals. This color scheme has been downloaded over 7000 times from vim.org, making it among the 200 most downloaded scripts. It is also featured in the VIM Color Scheme Test and is available in Ubuntu since Ubuntu 7.10 (Gutsy).